The Long Lane Bowl, Blackheath, was located in, what is today south of Greater Birmingham, and north of Halesowen. The building was formerly the Odeon Blackheath (sometimes known and advertised as the Odeon Quinton). The cinema opened on 20th October 1934 and was a purpose built Odeon, built for the Oscar Deutsch chain of Odeon Theatres Ltd. The Odeon had a large car park located at the rear of the building. It’s only claim to fame was it being the first Odeon Theatre to introduce the Odeon Childrens Club on a Saturday morning. The cinema closed on 19th November 1960 and stood empty until 1962 when it was converted into a 12-lane tenpin bowling centre known as the Blackheath Bowl. 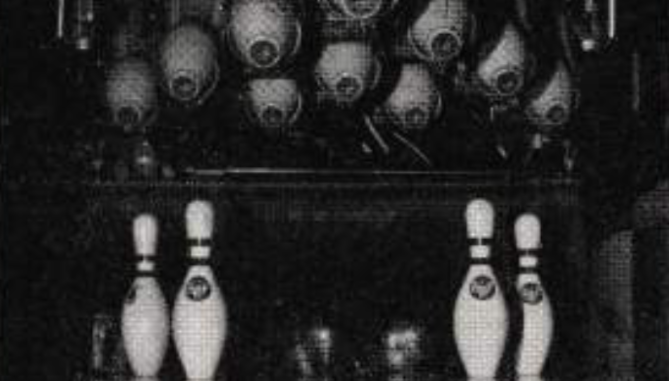 The centre was equipped with 14 AMF lanes and machines but was very short lived. The bowl closed on 10th February 1967 and was converted into a bingo hall and this was equally short lived and later became a ballroom, known as Tiffany’s Dance Hall. When the dance hall was closed and the building became a B&Q DIY hardware store. It was demolished in 1984.